As a YouTube video devotee, you must want to download and treasure up your favorite video from YouTube. Free YouTube Downloader for Mac (macOS Sierra supported) must be a helpful tool for you that it can totally free download any YouTube videos to your Mac. 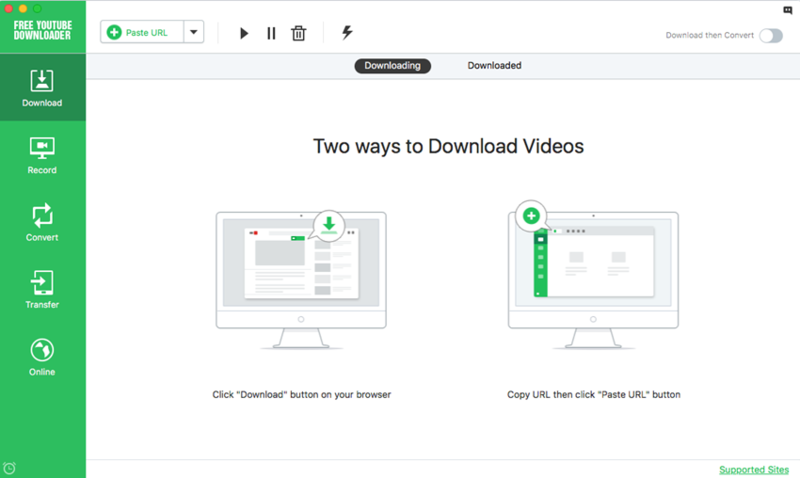 With this Free YouTube Downloader for Mac, you can download, play and manage your YouTube videos easily. Also this Free YouTube Downloader supports to automatically detects and download YouTube videos opened in Safari, Chrome or Firefox in one click. Download Free YouTube Downloader for Mac and enjoy the wonderful YouTube videos even without Internet connection.